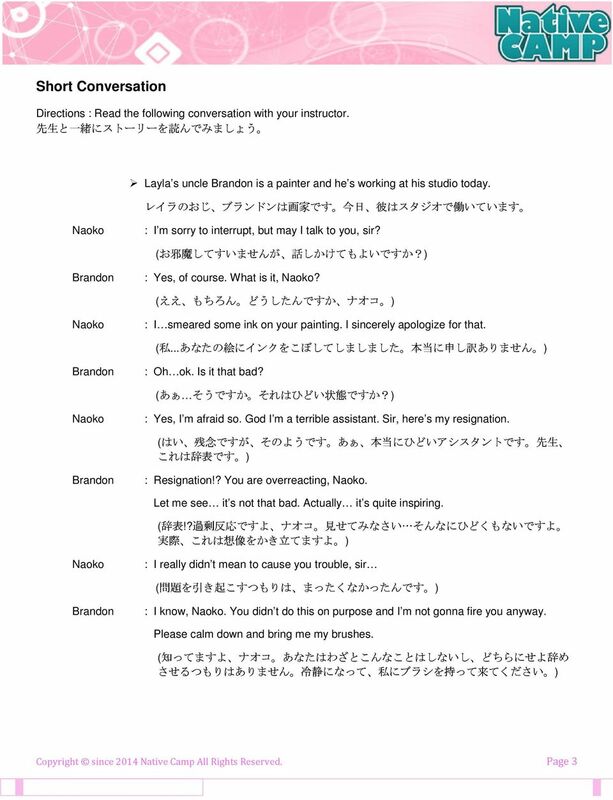 Download "Microsoft Word - Beginner Lesson69.docx"
Expressions Directions: Let's practice the phrases below with your teacher. 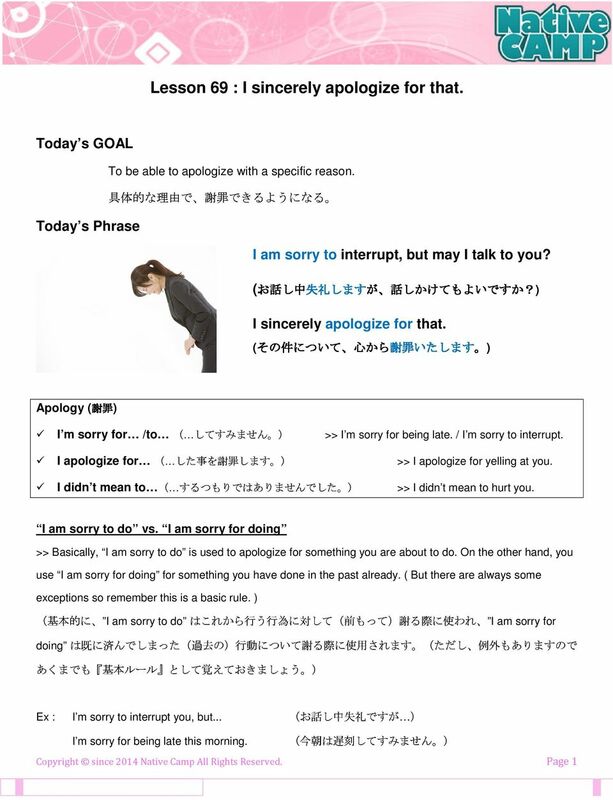 講師と一緒に下記フレーズの練習をしてみましょう ( ) の中の英文は省略できます Teacher( 講師 ): こんにちは! 私の声が聞こえますか?